On Monday, October 8, 2018 Teamsters Joint Council No. 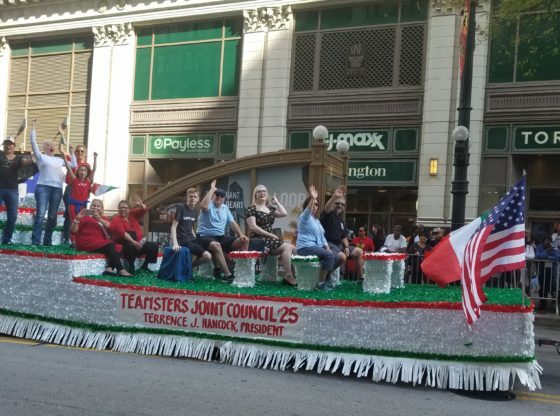 25 and numerous members from across Illinois and Northwest Indiana participated in the 65th Annual Columbus Day Parade and accompanying festivities. 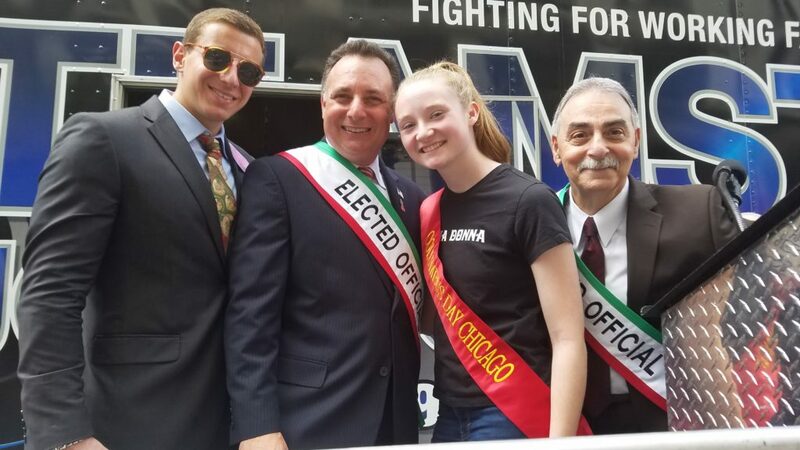 The parade is sponsored by the Committee of Italian Americans and commemorates the heroic voyage of Christopher Columbus to America and proud Italian-American culture. The celebration and festivities were solidified through prayer at a morning Mass offering that took place at the Shrine of Our Lady of Pompei. A wreath laying ceremony at the Statue of Christopher Columbus followed the religious services. As a prelude to the parade, Ms. Haley Hughes, a Junior at St. Francis High School in Wheaton, Illinois, graciously lent her vocals to sing the National Anthem from the deck of Joint Council’s reviewing stand. The keynote of the parade, “We Are One – Sister Cities Around the World,” actively carried throughout the day as various committees, organizations, political leaders, and citizens gathered together in the celebratory march down State Street. 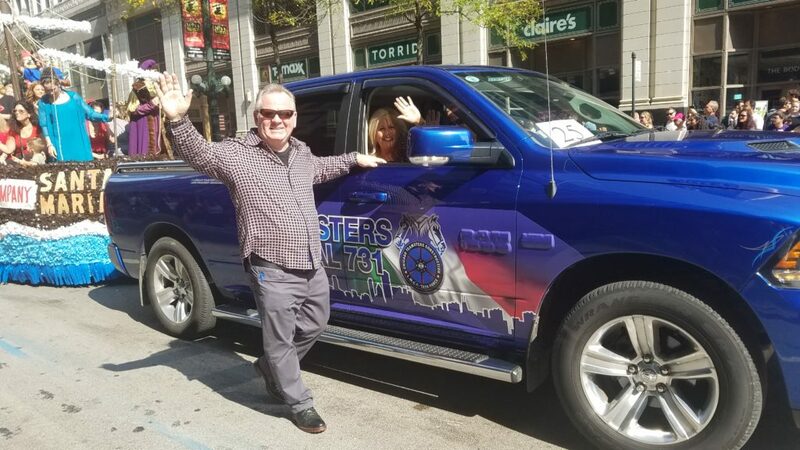 With over 150 floats, including the Council’s float representing all Teamster Affiliates and Members, the parade was nothing short of a harmoniously blended gathering that the Teamsters are proud to support and partake in annually.